Walsine Pierce: HOPE FOR THE BEST, PREPARE FOR THE WORSE: What is the worse? HOPE FOR THE BEST, PREPARE FOR THE WORSE: What is the worse? 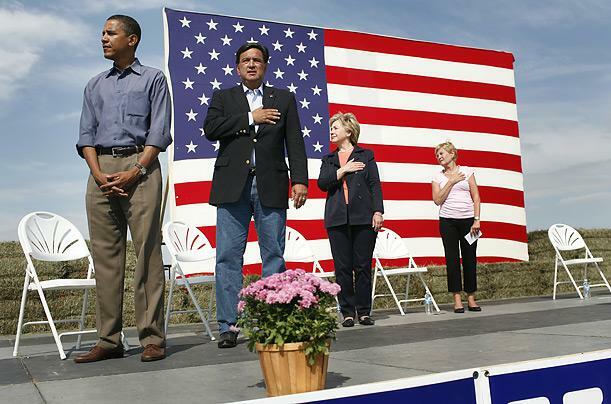 Really, just how bad can America get under President Obama, who is shown here dishonoring the American Pledge of Allegiance. Has any other country ever been where we are, or are heading? By law, we now have entered into a debt obligation which we cannot repay. Following World War One, the war to end all wars, Germany had forced upon her a debt obligation which she could not pay. In April 1921 the Allied commission presented a reparation bill to Germany for 132 billion gold Marks, or about US$30 billion. (France, who has been involved in wars throughout history, tried to make it a totally unrealistic 269 billion Marks but the US and Britain refused). The following year Germany had to default twice on her payments, she didn't have the money. When Germany was forced to default, France and Belgian troops occupied the Ruhr, ostensibly for protection but in reality to steal the economic edge that France and Belgium had failed to acquire under the Versailles treaty. Although German military had shrank to only 100,000 and 30,000 of their 34,000 officers were discharged, the German people themselves refused to produce what the French planned to take from them. The "brave" French, who could not then nor later beat the Germans in battle, met this passive resistance by imprisoning 46,200 German civil servants, railwaymen and police. NO, NOT IMPRISIONED BY THE NAZI'S, GERMAN CIVILIANS IMPRISIONED BY THE FRENCH! The German answer? Deficit spending, SOUND FAMILIAR? By autumn of 1923 there were some two thousand presses printing money around the clock. The money was worthless. A production worker needed a cart to haul one day's wages to the bank. Individuals, with what they considered a secure investment, got letters from the bank regretting that the bank could no longer administer a deposit of only seventy-five thousand Marks. In fact, the bank said that as they did not have any small denomination bills, they would just round the payment up to one 1,000,000-mark bill. The individual had no recourse because the bank had to use a five million Mark stamp just to mail the letter to him. The German government took the position, which their courts established, being that "a mark is a mark". Not only could the government pay off it's international obligations with the worthless money, so could farmers and mortgagers pay off their creditors. Pensioners, savers and elderly people living off modest rental incomes and investments were plunged into poverty. The grasshoppers and locusts ruled, the ants and honey bees lost out. It was said that Berlin became a whore! The hundred thousand prostitutes who allegedly serviced Berlin were no longer dismissed servants or poor girls but nice middle-class girls. Then, the German people, who had thought of themselves as decent, honest, loyal, prudent and responsible people, wanted to be insulated against changes which were beyond the powers of government. They wanted the benefits of capitalism, with the state insulating them from the consequences and risks of capitalism. AGAIN, DOES THIS SOUND FAMILIAR? Didn't work for the German Weimar or FDR's New Deal, won't work for Obama's plan, which he explained to Joe, the Plumber, to "spread the wealth" either! INTERNATIONALLY, THE PROUD GERMAN EAGLE HAD TO BEAR THE EPITHET OF BEING A "BANKRUPT VULTURE". Do you have any problem seeing this as a potential for the direction in which the United States is now heading? FDR with his redistribution of wealth was saved by WWII but at the cost of untold millions of men, women and children being maimed or killed in unimaginable numbers. As Obama, who has consistently voted anti-military, goes about saving money, for his wealth redistribution, by unilaterally reducing our readiness, what portends for our future is truly disturbing. Is there an answer? Yes, and I think it lies in the American people. It lies in you and it lies in me. I'll do my part. 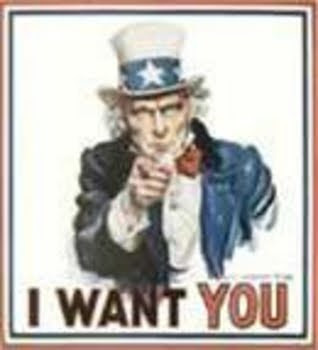 You do yours and we'll not let the proud American Eagle become a shameful "bankrupt vulture". Note: It should be mentioned that I am in no way a NAZI lover. I lost both friends and family fighting them in WWII. My brother, Henry, barely survived repeated Nazi U-Boat and dive bomber attacks. I have been to Germany and I have been to the Nazi Death Camps. Horrible! Still and yet, the comparison is there. Bye-the-way, I have also been in France and perfer the German people by far! THE WORD FOR TODAY: Down and Dirty! A HEAVENLY PROMISE? I report, you decide! A HERO SPEAKS OUT: Read this long blog, please! SARAH PALIN: A Real Winner! GOOD OLD SUMMERTIME? Could Fool Me! ACROSS OHIO, RIVER TO LAKE: Pedal, Pedal, Pedal! APRIL FOOLS DAY: Can You Say Obama?